In today's T3 Agenda - sleep better and wake up happy with Lumie's new Bodyclock LUXE 750D. Keep that pace going on a long run with the Jaybird Run True Wireless Headphones. And more! 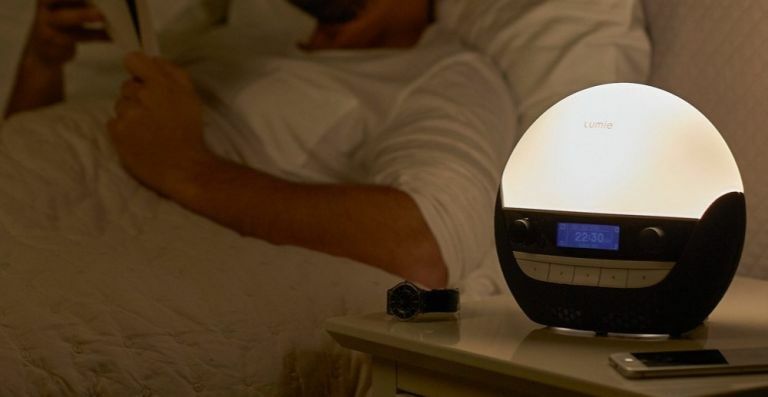 Looking for a way to combine a lamp, a DAB radio, a Bluetooth speaker and an alarm clock into the same package? Lumie is way ahead of - in fact, it's got a whole range of them - and its latest, the Lumie Bodyclock Luxe 750D can do even more besides. In addition to that brand new DAB radio function, the Bodyclock Luxe 750D also features a low-blue light so it is non-stimulating at bedtime and mimics the colours of a real sunrise and sunset. You can select from more than 20 wake-up and sleep sounds including white noise and also enjoy high-quality audio; in addition to DAB radio, you can stream music via Bluetooth or play music via the USB port, which you can also use to charge your phone. You can pre-order your very own Bodyclock Luxr 750D direct from Lumie for £199. Shipping begins on 21 September. Jaybird has announced two new additions to its growing portfolio of fitness-focused audio products, with the arrival of the Run and Freedom 2 models. The Run is the first properly wireless, ear-bud focused model from the firm and features a customisable sound profile and a comfortable fit. The Freedom 2 features a special SpeedFit design, that enables you to adjust the position of each bud to ensure you get maximum comfort when out for a long run or a heavy session at the gym. It also features a handy water and sweat-proof design for less slipping. The Jaybird Run is available for a recommended retail price of £169.99. The Jaybird Freedom 2 is available for a recommended retail price of £109.99. FYB London is launching a range of handbags and travel bags that aren't just spacious or stylish, they're Smart, too! The City Handbag ($279/£209), the Travel Tote Bag ($293/£219) and the FYB Mini ($120/£90) all do more than your average travel pack. The range includes the power to wirelessly charge your phone (you can simply drop your phone in and let it charge), use bio-metric (fingerprint) locking to keep your belongings safe, Bluetooth connectivity and proximity alerts to a phone app, as well as offering the power to lock and unlock your bag from your phone! Each model also features RFID Protect Card pockets to protect your contactless cards, and there's even a compartment for your laptop. Talk about having a walking office in your bag. Pre-order now for 35% off!